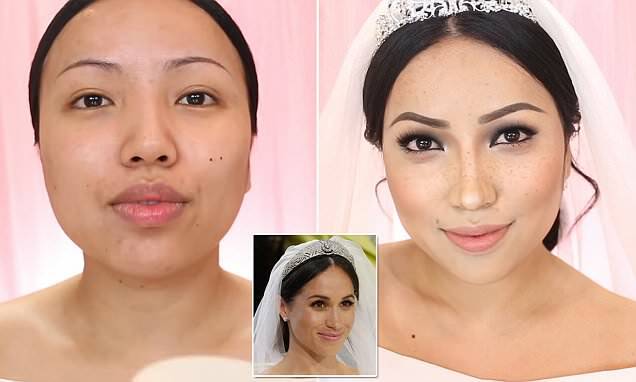 A talented makeup blogger has turned herself into the Duchess of Sussex on her wedding day – and the results are amazing. Sharing the transformation video on her Youtube channel dope2111 blogger Promise Tamang said the Meghan Markle look was ‘highly requested’. “Today I am turning into the new Duchess of Sussex ‘Meghan Markle’,” she captioned the video. “You guys might be surprised but I really liked how natural and fresh her makeup was for the wedding.